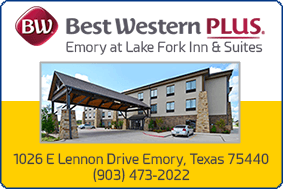 Lake Fork has many guides, and I will work hard to earn and keep your business. Customer satisfaction is, and always will be, my number one priority. By the end of your trip, I want you to feel like you got more than your money's worth. 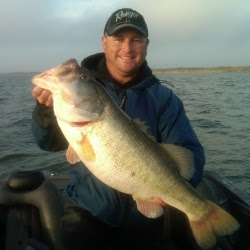 Whether you are looking to catch that trophy bass of a lifetime, want to learn a new technique, or just have fun catching lots of fish on Lake Fork, I will do everything I can to make your trip a success. 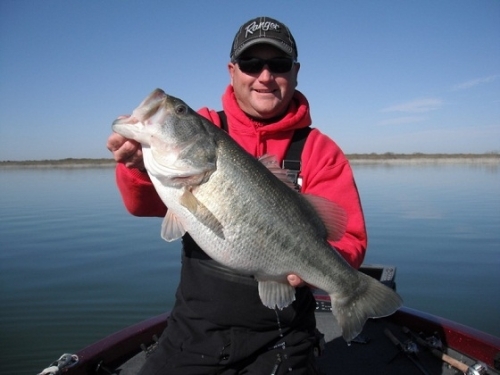 I highly recommend that you talk with any guide you are considering hiring for your trip to Lake Fork. 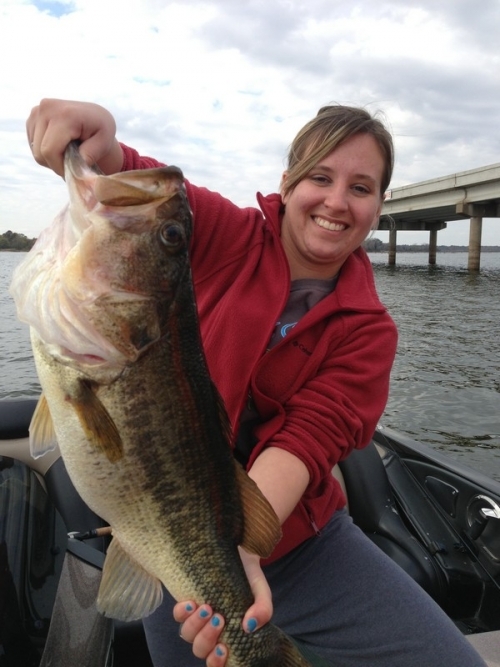 There are many good fishermen on Lake Fork, but being a good fisherman doesn't necessarily make you a good guide. 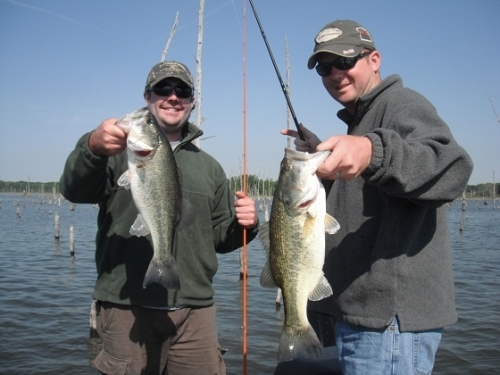 A good guide is a good teacher, communicator, and fisherman. If you will talk with a few of us before you make your decision, it will help you make the right choice for you. 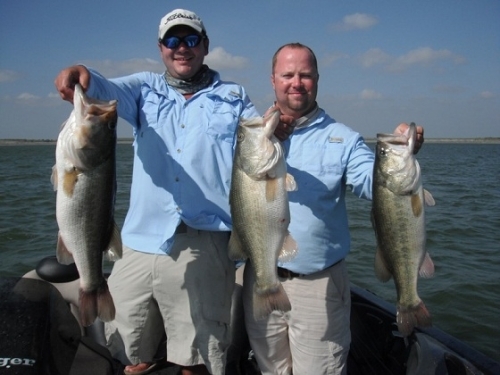 I would love the opportunity to be your guide on Lake Fork. Please feel free to call or email me if you have any questions. 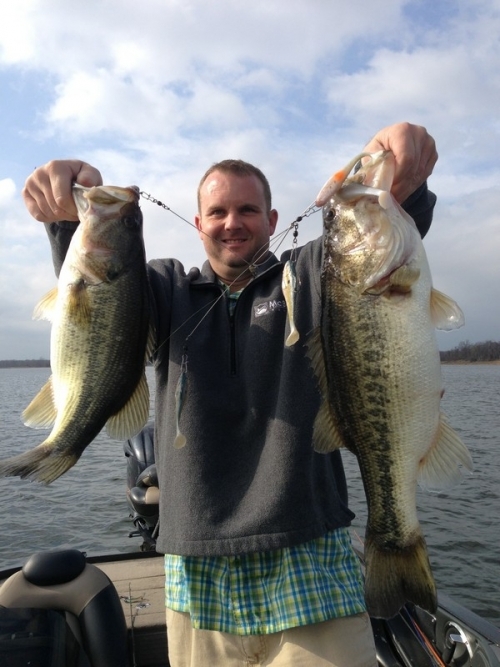 Thank you for your interest in Jason Hoffman's Lake Fork Guide Service. I hope to hear from you soon. I thought I would share my recommendation and day on the water with Jason Hoffman and my 9 year old son. First off, I’m a simple guy. I break people into two categories, guys that give a dang and guys that don’t. Jason Hoffman gives a dang and it showed before, during, and after our trip. Prior to our trip, I explained to Jason I didn’t really care if I fished that much, but was hoping my son could fish and I could learn more about using electronics. First off, Jason was awesome with my son. While my son does well casting on his own, it was freezing and we were throwing big baits and it was obvious that my boy was not comfortable casting on his own. Jason made every single cast for my kid. At one point, he had two rods going at the same time. Jason was all over that boat, whether he was unhooking fish, retying baits, or getting us ready for the next stop. 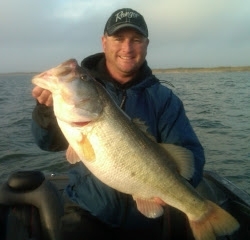 Jason works his tail off to put you on fish and make sure you have a fun trip. As we ended the day, I ended up giving him everything I had in my wallet, lol. I gave him well over the standard guide fee and well over the typical tip amount (if there is one). I gave him everything I had because I felt that he gave me and my son everything he had. I’ve been on other guide trips, where the guide is watching the clock or talking on the phone, or bad mouthing other guides on the lake. This will not happen on your trip with Jason. As Jason pulled out of the parking lot, my boy said, “that guy was a beast”. Hey Jason, we really appreciate the effort.